Born into a noble family in Bohemia, Adalbert took his name from his teacher. By the age of thirty, he was named bishop of Prague. His insistence on distributing his wealth to the poor and his disdain for slavery made him the enemy of the ruling class. He left Prague and lived in Rome until being called back. On his second attempt to live there, he was driven out. 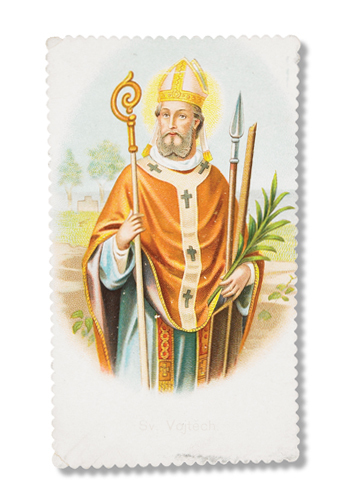 He evangelized in Russia and Poland and was murdered in Prussia by pagan priests. His persistence in the face of failure served as an inspiration for future missionaries in that area.